For about a month this watch had been under scrutiny and all the important things from a wearer’s perspective is here. It is a watch that makes the wearer keep coming back, for, at well under the $400 mark, it gives you all that few – if any – others deliver. Whether you call it a bigotry towards mechanical hand wind movements or something else, but those who are more into watches shall be sold on this first aspect. You do not usually come across fine Swiss mechanical movements at this price range. Agreed it’s not some super-fine, technical hiatus, but at the same time, it is the ubiquitous 4 Hz, 17-jewels ETA 2804-2 (the hand-wound version of the ETA 2824; comes with ETACHRON regulation, 28.800 beats/hour), which means, it has almost the same built as the 2824, the reliable and robust workhorse of the Swiss watch industry. With a power reserve of nearly 40 hours, wind it once every 36 hours. Unadjusted, it fluctuates to a max of 6 seconds, on either side. That Hamilton pays a homage to the Military field-watches through the Khaki Field Mechanical is evident from its emphasis on its indifferent, stern looks on one hand and legibility on the other. The whole presentation is devoid of any unnecessary elements and the uncluttered layout is really soothing to the eyes. The 38mm case has a somewhat coarse (bead-blast) finish to it, which also adds to its durability and pleasant looks. The drab, olive dial produces a contrast in the background against the matted metal but all in a very subtle way. Topped by a scratch-proof, slightly domed sapphire crystal, it receives a greater perception of depth, enhanced further by the bead-blasted hands. The lack of shine in the entire setup is appealing to them against any sort of bling. Coming to the controls (sorry, got into the military mood) or the crown, it’s a substantial slug of metal facilitating an easy grip. This is a great help towards the task of winding up; it feels pleasant also. The Khaki Field Mechanical is that sort of a watch that encourages a lot of experimentations, the basic one being with straps. 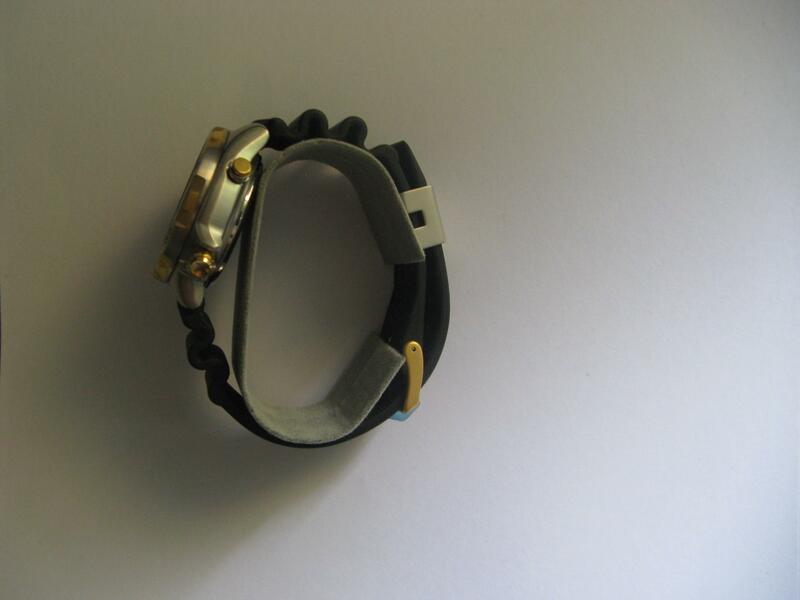 The drilled-through lugs facilitate it greatly and with a pin, your job is done! They have also been made longer intentionally so that you can put in the 1-piece military straps too, but this one already has a surprisingly good strap; a heavily-padded, olive canvas w/ nubuck backing. The holes got rivets into them and the fixed holder comes with steel retainers. Overall, that’s durability re-explained! 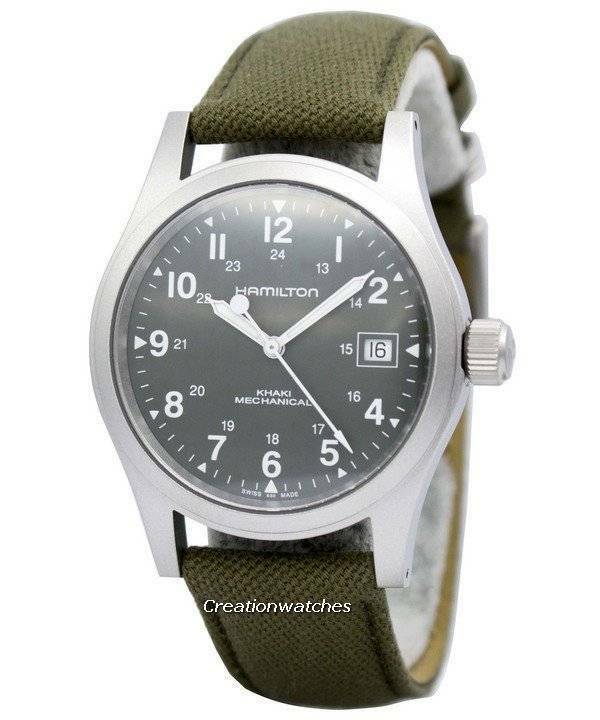 The Hamilton Khaki Field mechanical stands out as a piece with a great quality and features usually found in watches belonging to much higher price ranges. It’s also a model that Hamilton makes no more. Get it if you love rarities or if you got any fascination towards the classic, military-styled mechanical watches. Chances are, you won’t find another this appropriate fitting into the category. 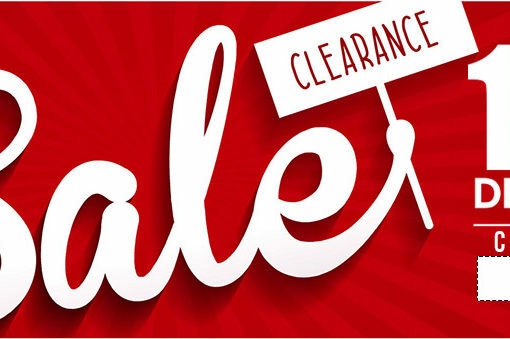 Newsletter: Clearance Sale on Watches – 10% Discount Coupon Inside!! Maybe you can give positive pointers to improve the article rather than that negative comment. I agree, the article was badly edited to say the least . Putting that aside, I have one too in my collection and it is one of my favorites. Fantastic value. But where did you get the 6 second maximum deviation? Mine is 10-12 seconds fast per day. Please learn how to write using proper English…. 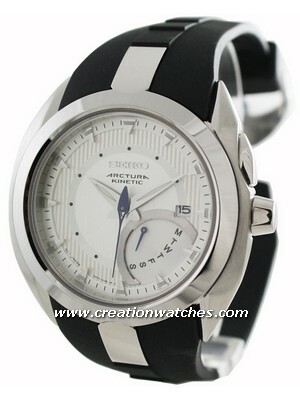 Next post Newsletter : Up to 75% off Watches with Free Worldwide Shipping!